The Surrey has set the standard for Upper East Side elegance for years (just ask their prestigious Forbes and Condé Nast Traveler awards). Today, we extend our heartiest congratulations to The Surrey, as they add another accolade to the list: Travel + Leisure’s No. 1 pick on their catalog of The 2017 World’s Best City Hotels. 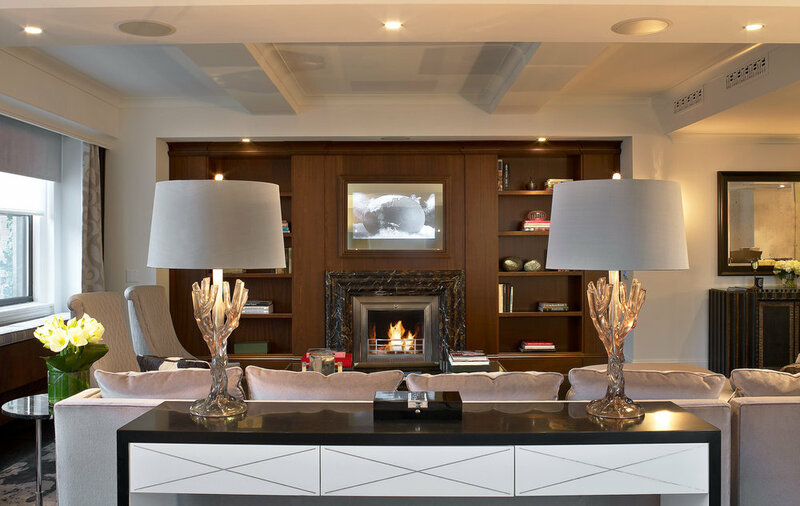 We are proud to have eight of our custom-made, luxury HearthCabinet™ Ventless Fireplaces as part of The Surrey’s exquisite design amenities in the Presidential Suite and beyond. If you have never experienced their timeless hospitality, we cannot recommend it enough! But don’t just take it from us — see for yourself. If you have questions about HearthCabinet™ Ventless Fireplaces or would like to speak with one of our experienced designers about your project, please give us a call at (212) 242-1485 or visit the Contact page. We’d also love to welcome you into our flagship Manhattan showroom in Chelsea, or make an appointment for you to see our ventless fireplaces in DC, LA, Indiana, or Short Hills, New Jersey. We look forward to hearing from you. Published on November 17, 2017 by Hearth Staff.